If you own a house in Lagos that is in such a terrible condition that no one lives in it, the government is coming for it. They will demolish it and even force you to pay for it, that is unless you choose to do it before they come. 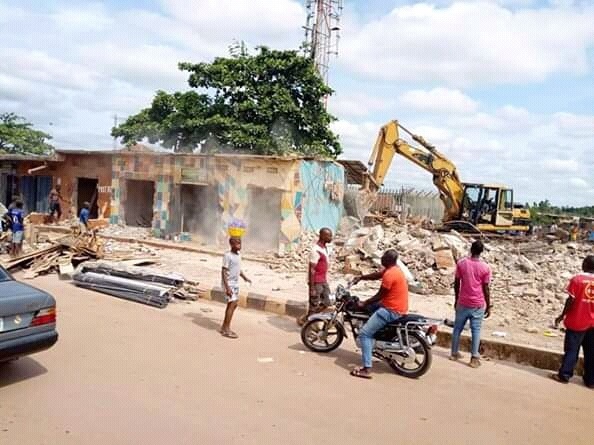 The authorities concerned, the Lagos State Building Control Agency, LASBCA has given a 7-day ultimatum to owners of such distressed buildings across the state to demolish them or bear the risk and cost of their demolition by the agency. The LASBCA General Manager, Olalekan Shodeinde, gave the ultimatum on Monday in an interview with the News Agency of Nigeria in Lagos. Shodeinde said that LASBCA had identified and marked some distressed buildings for demolition in some areas of the state. According to him, at the expiration of the ultimatum, LASBCA would demolish the buildings in accordance with the Lagos State Physical and Urban Planning Development Law, 2010. The general manager said that the government had zero tolerance for distressed buildings. He said that the ultimatum was given within the ambit of the law with a view to ensuring better physical environment for sustainable development.